A new language opens a new door. We teach in such a way that makes learning German effortless! Speaking, reading and writing in German becomes fun! Enrol with us! June Intake is open and we have courses to suite your flexibility. Early this year, Multimedia Box in partnership with the British Council and German Society of Zimbabwe held a relay authoring contest for young Zimbabweans between the ages of 18 and 35. A total of 252 entries were received from all over Zimbabwe. The top 4 winning writers will launch of their book on the 11th of May 2018 at British Council in Bulawayo. It’s that time of the year! See you there! 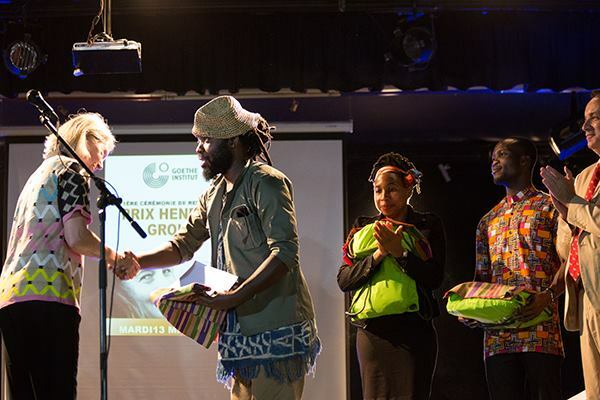 Congratulations to Em’kal Eyongakpa, who received the €20.000 Henrike Grohs Art Award in Abidjan on 13 March – exactly two years after Henrike Grohs and 17 other people lost their lives in a terror attack in Côte d’Ivoire. Due to the increased number of the German language examinees, we kindly advise that those intending to sit for any of the exams especially for A1 and A2 levels, to book, at least 2 months in advance. This will give us adequate time to order sufficient examination documents from Germany, from which they take time to be delivered to Zimbabwe.